I’m not actually very good at straightforward race reviews. A few things usually end up happening: I start boring myself, it will follow no chronological order, and will have no point… but nonetheless I think it would be useful to do anyway for this twenty-miler before the memory of it fades and I miss my opportunity to reflect and learn any lessons. A couple of other blog posts I have come across reviewing the same race, worth a read can be found HERE and HERE. 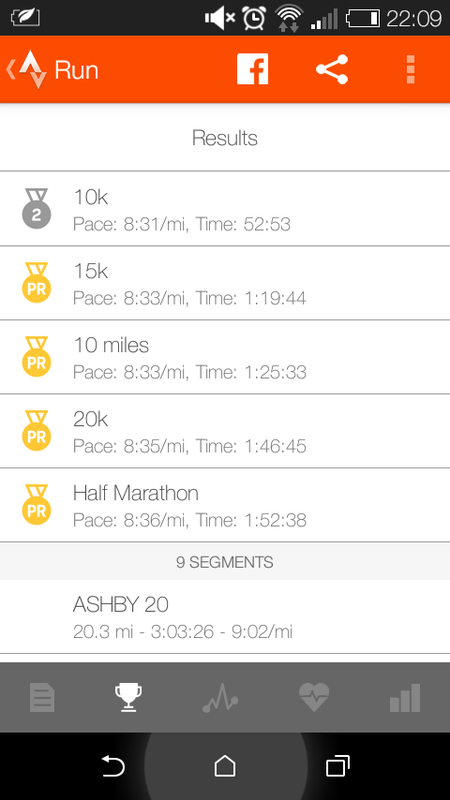 I entered the Ashby 20 a while back after considering it for about….oooo…all of 20 seconds. One of those ‘last twenty places remaining’ posts on social media spurred me into action I wasn’t even sure it was a twenty mile event at that point (I just hoped it wasn’t a 20 hour, endurance one!). But it was close enough to home to not disrupt family life too much and was perfect preparation for Huddersfield marathon. I had thought , “If I can’t manage this one, I shall pull out of the marathon for sure”. The day began beautifully. The sun was shining, I felt recovered from my midweek half marathon effort, and I could find all the running gubbins that I had failed to prepare the night before. The journey was straightforward. I was on my own, but even with my less-than-perfect navigation skills, I didn’t get lost and grabbed a parking space right next to the finishing area. Desperate for the loo and sufficiently blind not to see the rows of portaloos over the other side of the cricket field, I walked through town to use the ones at the leisure centre. There, you see, important stuff… I totally rock at this review-writing malarkey! Anyway, we had a nice chat before we were led to the actual start point… and we were off! It was essentially a two-lap course, running about a mile out of Ashby-de-la-Zouch doing two 9-mile loops, then hobbling back in to Ashby again. Inevitably, I went out faster than intended. I know, I know… It just seemed so easy… I know! At least to cover the half marathon distance, I thought. The original plan was to attempt to run a half-marathon in approximately 2 hours, which until my final training run last week, was pretty much as fast as I had ever done that distance. I would then inevitably slow down, but would attempt to cling on to ten-minute miles for the final seven. This would give me a 3:10:00 finish time and was therefore my target. This was not taking into account the undulating nature of the course, so I thought this was perhaps an ambitious target. I think it is fair to say that mentally as well as physically, I let things slide a little after the 13 mile point. Support was great, the whole way round. Fantastic organisation. Lovely weather. Regular drinks/sponges/’nutrition’ stations brimming with wonderful volunteers. The only negative I can think of is – despite the wonderful pre-race information pack and well-signed placards after drinks stations saying, “no rubbish to be dropped past this point” some runners were obviously still just chucking their cups/gel packets/bottles/lids at the side of the road wherever they fancied. There was even a bin at every mile marker so there really was every effort made by the organisers but some selfish runners still somehow see it as their right to throw rubbish where they like and expect someone else to tidy up… Grrrrr! There were a number of things on offer: Gels… Jelly Babies… Chocolate… Bananas… But up til this race I had always done my long runs on just water (I’m still not Jesus though), convincing myself that I was training my body to use my fat stores for energy. I think the mental boost gained was greater than the physical one and I was too mentally weak to resist at that stage. I also got a good mental boost by playing ‘Chariots of Fire Theme‘ by Vangelis over my iPod for the final 0.5 miles (using its internal speaker, of course – no headphones allowed). That felt good. 8:02 minute mile pace! – I should have had that tune on loop since mile 15! This went straight to the Rainbows charity who were collecting donations in exchange for a post-race sports massage at the cricket pavilion. Which is a summary of the massage and the Ashby 20 itself.